Kelly Stankiewicz, MD, FAAD is a board-certified dermatologist with a passion for all things skin. Inspired by the opportunity to create a cutting edge clinic in a calming and caring environment, she has opened The Dermatology House in Park City, UT. 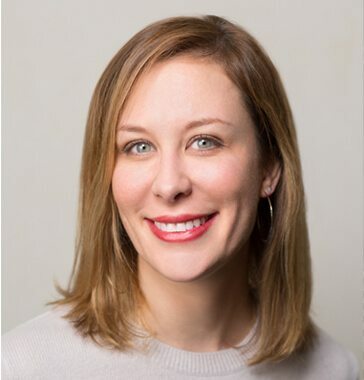 After graduating from medical school at Indiana University School of Medicine in 2006, Dr. Stankiewicz completed her dermatology residency at the Dartmouth Hitchcock Medical Center in 2010 and a clinical fellowship at Massachusetts General Hospital, Harvard Medical School and the Wellman Center for Photomedicine in lasers and cosmetic dermatology in 2011. There she learned from the innovators and creators of many lasers and devices on the market today. Due to her extensive experience with lasers and research work in this field, she speaks nationally on laser treatment of skin conditions and non-invasive skin rejuvenation. Dr. Stankiewicz enjoys all aspects of dermatology from skin cancer screening to acne and rashes to non-invasive skin rejuvenation including lasers, injectables and topicals. With an artistic eye, a caring hand, and passion for innovation, Dr. Stankiewicz provides a unique talent to the area. She constantly seeks to incorporate the latest in medical advancements and to learn, innovate and look for cutting edge ways to treat by remaining involved at the forefront of research pursuits. You should expect to see something new at The Dermatology House quite often. Prior to arriving in Park City, Dr. Stankiewicz practiced in a large multispecialty physician-owned practice in the suburbs of Chicago. She has moved with her family to Park City, Utah in pursuit of her lifelong dream of establishing a solo practice and enjoying an outdoor lifestyle. She is excited to become part of the Park City community and take care of patients where high elevation living can be challenging on the skin. Look for her on the ski slopes when she is not hard at work! Fellow, Laser and Cosmetic Dermatology, clinical and research fellowship under the direction of Matthew Avram, M.D., J.D. and R. Rox Anderson, M.D.